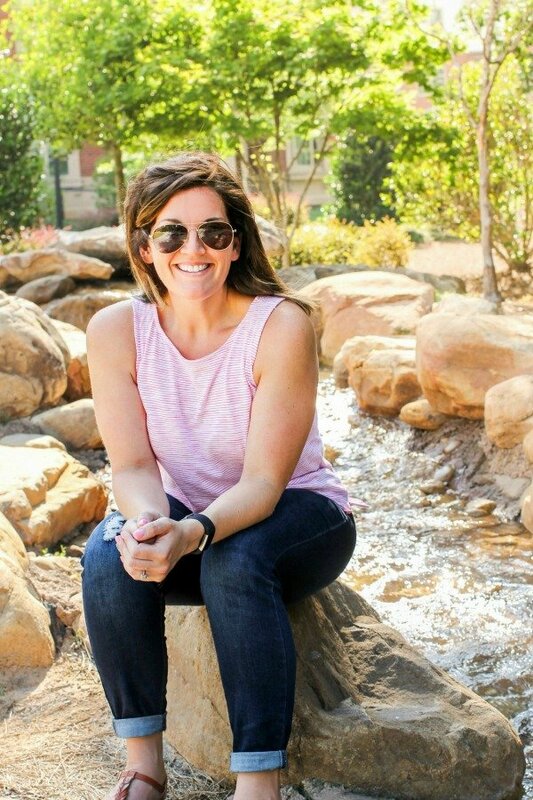 November 28, 2017 By Allyson 12 Comments This post may contain affiliate links. Read my disclosure policy. 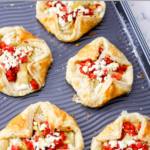 These savory pastries are filled with tomatoes, artichokes, cream cheese, and delicious goat cheese! Only a few minutes to whip up and you have tasty pastries! Now that holiday parties are right around the corner (ehhh, within weeks really! ), I have been whipping up some different recipes to use at our annual holiday party. I LOVE good savory pastries, and am always trying different flavor combinations. 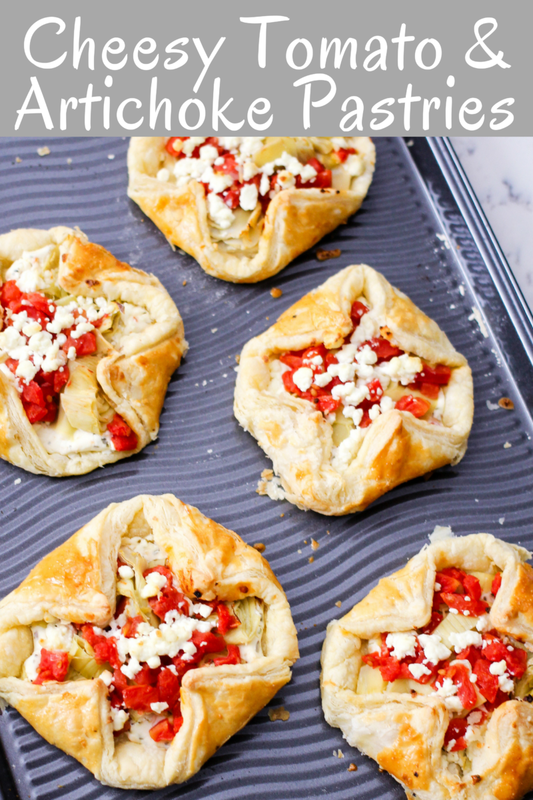 Using cream cheese and goat cheese with the delicious artichoke and tomato flavors pairs perfectly in these savory pastries. This post today is sponsored by Tuttorosso, but all opinions are my own. One of the reasons these savory pastries are so easy to make, is because you’d likely have most of the ingredients on hand. I always keep canned artichokes and Tuttorosso Diced Tomatoes in my pantry. 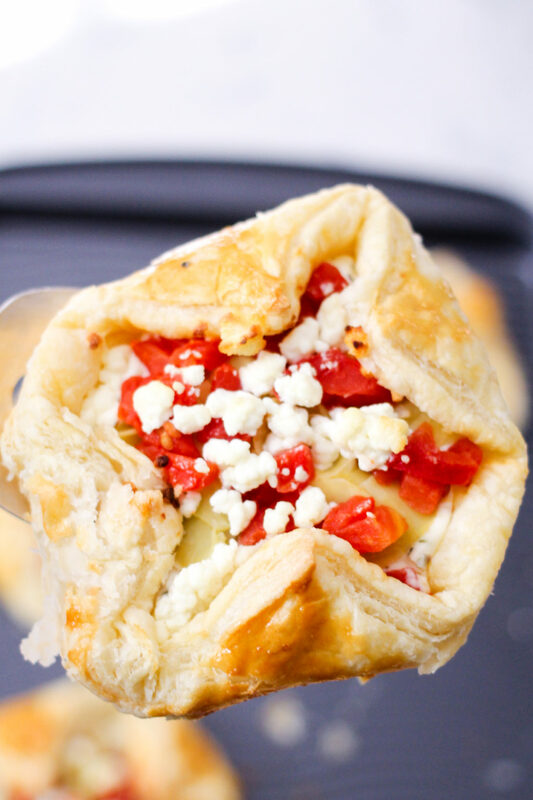 We also always have cream cheese in the fridge, and typically goat cheese too (cheese lover right here), and I love keeping puff pastry in the freezer. With that said, even if you don’t have these items on hand, it’s a very short list of things to pickup in order to make these. 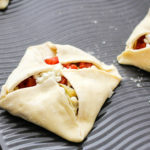 You could use fresh tomatoes in these savory pastries, but now that they are out of season I really love using Tuttorosso Diced Tomatoes. They don’t use any artificial colors, flavors or preservatives because their tomatoes are not “processed food” – they are canned using only steam to preserve them. In the factory (where I have actually seen this in person! ), the tomatoes are personally selected for you: they use color sorters to make sure we only provide rich, red tomatoes and they physically inspect each one for imperfections. Every Tuttorosso can has their Steam Sealed Flavor-Loc system to protect the fresh, vine-ripened flavor of our summertime tomatoes with no can taste. These are literally fresher than pretty much any ‘fresh’ tomato you can buy at the super market. Mind blown. Oh, I also love how they have NON-GMO harvest and Non-BPA lined cans! 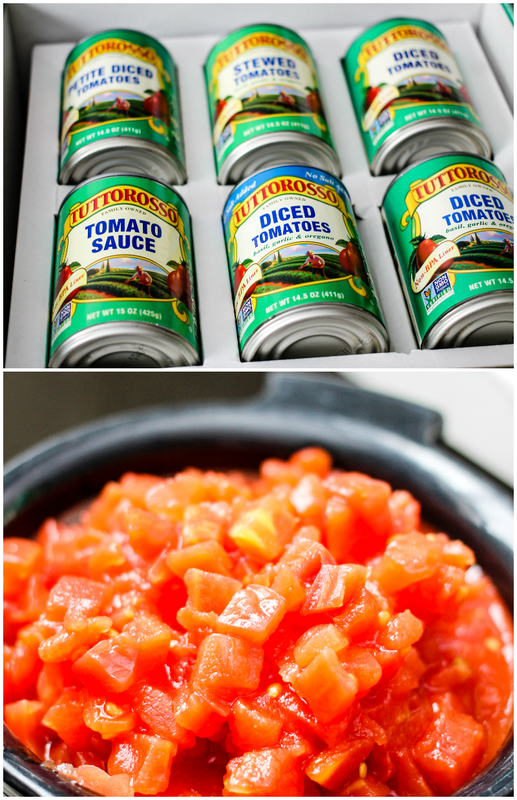 All these reasons just go to show why Tuttorosso is the best selling Italian inspired canned tomato brand in the US! Like I said earlier, putting these savory pastries together is SO easy! 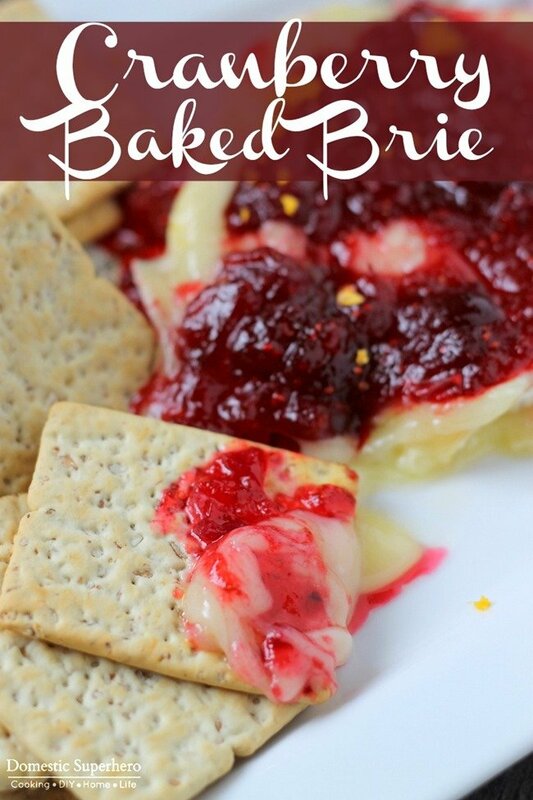 Mix up your cream cheese, Greek yogurt, and spices and spread it over your puff pastry squares. Then load them up with chopped artichokes, Tuttorosso Diced Tomatoes and goat cheese, and then wrap them closed. 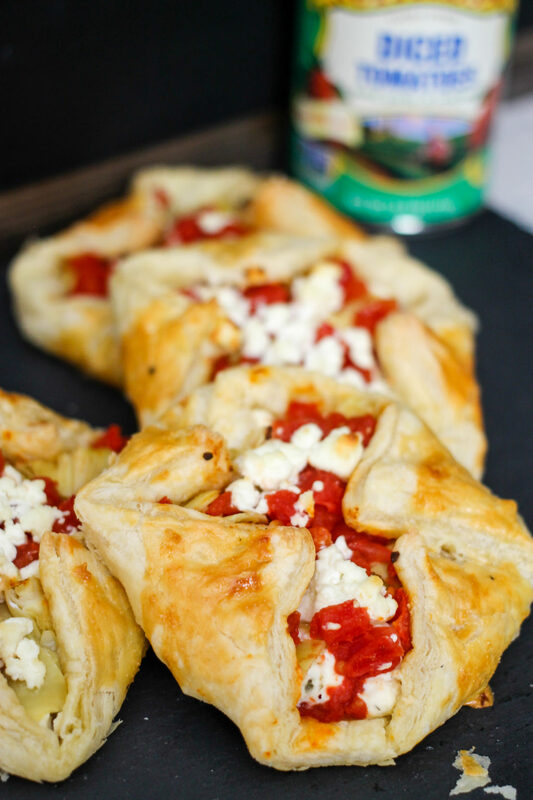 I like serving the Cheesy Tomato & Artichoke Savory Pastries at parties or even brunch! They are good hot or cold, so if they are sitting out for a bit, they still taste great! In a medium bowl, add cream cheese, greek yogurt, all spices; stir to combine completely. Set aside. 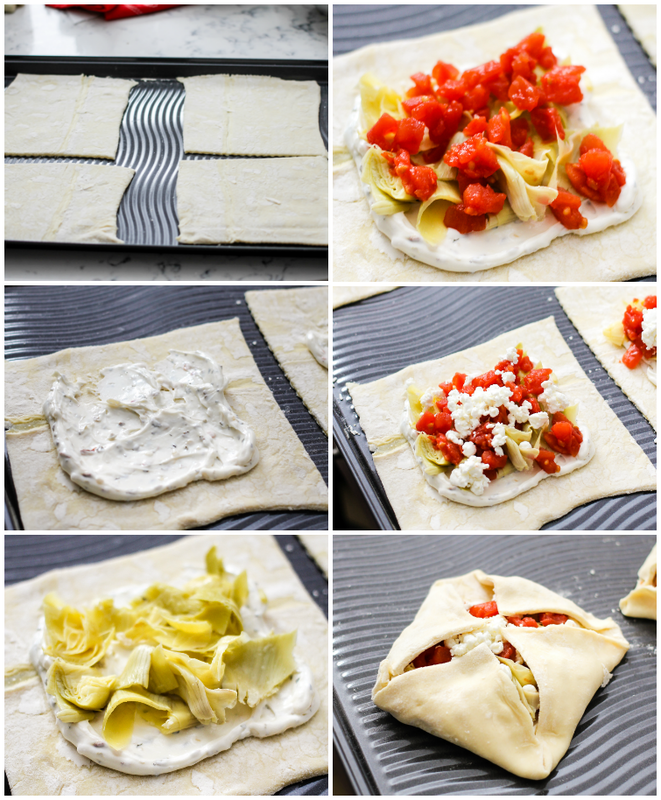 Open your puff pastry sheets and slightly roll out with a rolling pin. Cut the sheet into 4 even squares, repeat for second sheet. Place squared on a nonstick baking sheet (or line with parchment paper). Add the cream cheese mixture to the center of the squares (about 1 1/2 TBS to each), and spread leaving 1/2 inch uncovered around the edges. Repeat for all squares. Add chopped artichokes to center, then tomatoes, then sprinkle goat cheese crumbles over the top; repeat for all squares. Pull up the corners that are diagonal from each other and slightly press down the edges; repeat for all squares. In a small bowl whisk egg with water; brush lightly over the tops of the pastries. 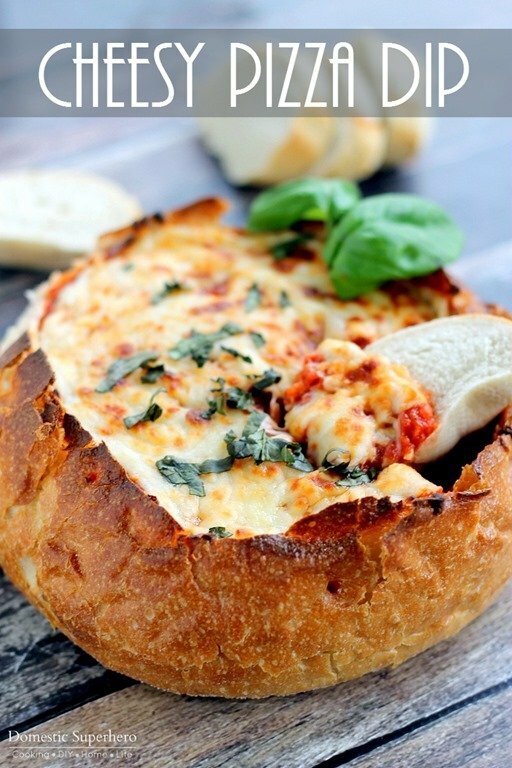 Place into oven and cook 15 minutes. Check at that point, and continue to cook 5-10 more minutes or until tops are slightly browned. Remove from over and serve. The tops of the pastries may start to open while baking. When you remove from oven, carefully press the corners back down to 'close' them up. YUM! These look so good! Adding to my holiday list! They will be a hit! These look delicious! I bet these are the first to go at any party! Me too! I will take savory over sweet any day! I am so making this next week! My family will love these! all the flavors I love in one bite!! YUM!! I love artichokes! These sound awesome! You and me both, girl!! 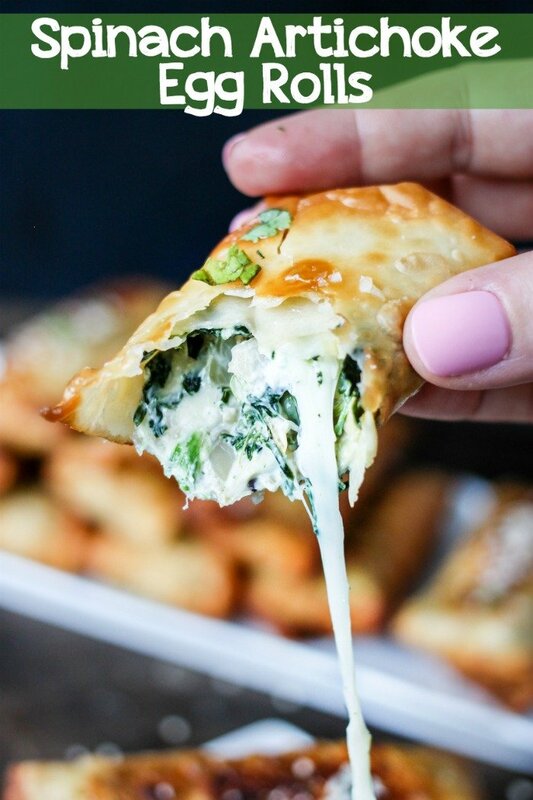 I am loving this savory pastry appetizer idea! So perfect for holiday parties!